These stylish cost coats are especially suited to greyhounds and lurchers. The coat has been made in two halves which allows for a curve shape to the back of the coat. 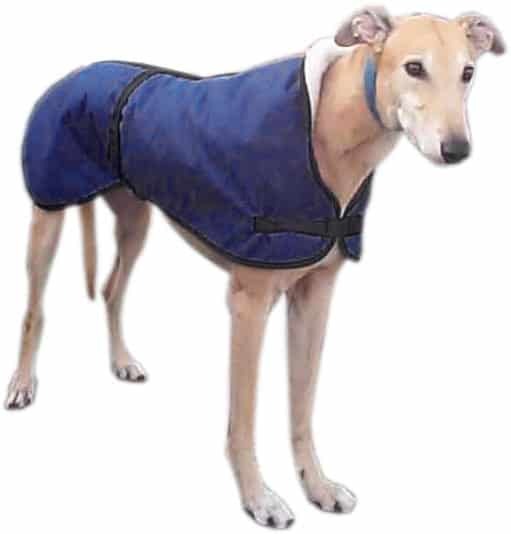 This contours around the body of a greyhound/lurcher and provides a great fitting Dog Coat. 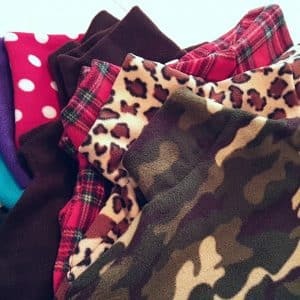 All coats are have a durable 4oz waterproof fabric on the outside and are fleece-lined with an acrylic-fur fabric to keep the dog not only dry, but also warm on cold, wet winter night walks. 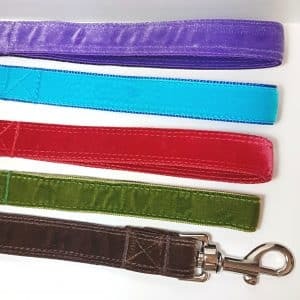 A polypropylene strap is used to secure the coatround the dogs waist and is fastened with a strong, side-release plasticbuckle. The strap is adjustable for a comfortable,snug fit. The front of this coat also has a side-releaseplastic buckle. 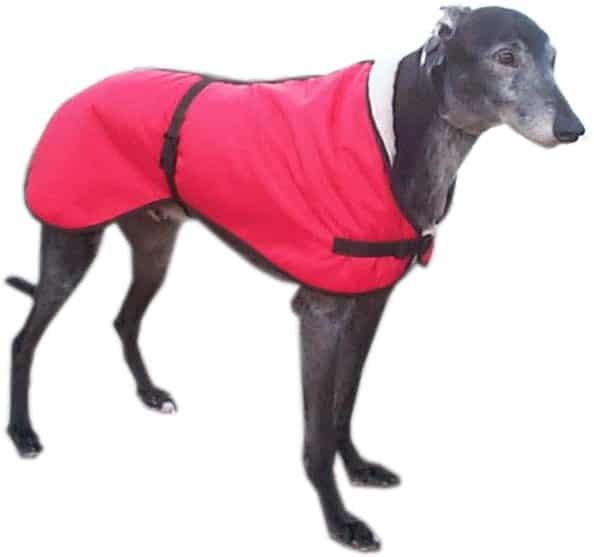 This provides much needed additional strength and helps to keep the coat fastened even should the greyhound fancy a run. There is a small amount of adjustmenthere also, ensuring a perfect, comfortable fit. On the dog, these coats not only help keep your pet warm and dry but also look attractive and stylish. This is helped by the black edging, black back-stripe and matching black strap. This coat features a “hood” that can be pulled up over the dogs neck duringparticularly bad weather. 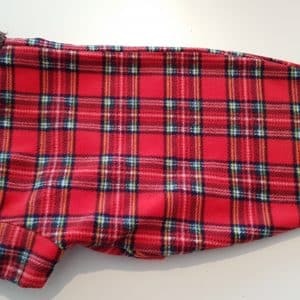 This range of stylish and practical dog coats arefully machine washable (40deg C, no iron). They are designed for quality, practicality, and durability. To measure your hound take a tape-measure and measure from the base of the neck to the base of the tail. This value (in inches) is the size of dog coat you want.